Melt white sugar/water mixture in a pot until it melts to brownish color. Add water and place under slow heat until consistency thickens. Pour into your leche flan molder, lining the bottom layer. Mix eggyolks, evap and condensed milk in a mixing bowl and stir. 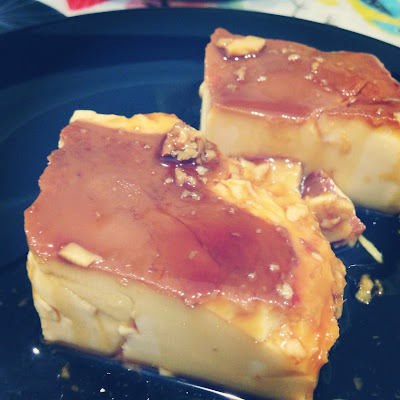 Pour in caramel-lined leche flan molder. Steam for about 45 minutes to 1 hour. Remove from steamer and set aside to room temperature. Let it cool inside the fridge. Remove from molder. Put upside down to a serving plate. Serve cold.